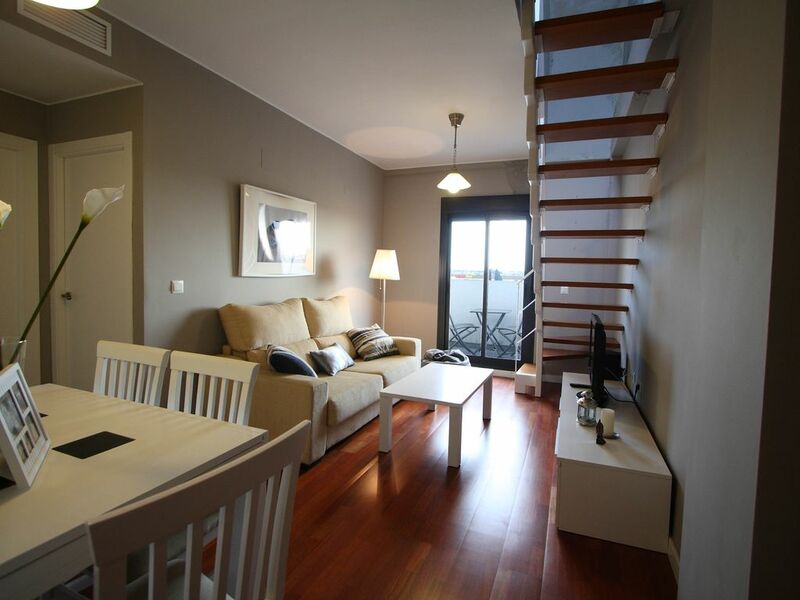 Ideal for a holiday in Sanlucar apartment. Located in the center, 8 minutes from the Plaza Cabildo and along the most historic area of ​​the city. Frñio Air conditioning / heating central. Exquisitely decorated. Air conditioning / heating. 2 bedrooms and sofa bed in the living room. Master bedroom with double bed and second bedroom 2 beds 90. Living room, kitchen, bathroom and private terrace of 50 m² on the deck, accessible from the lounge. Fully equipped (flat TV 32 ', stereo, dishwasher, microwave). Ample parking included. Terrace equipped with gazebo, table and chairs. The bathroom includes bath towels and toiletries for 6 persons as well as rugs. See renting bikes to ride or mountain bike guided tours in the area. For tenants with dogs, we have service Boarding Kennels in case they need to leave your pet. Also with pick up and delivery (check rates). on ne va jamais au même endroit mais là nous y reviendrons ! Muy buena atención tanto en la gestión como en la recepción. Muchas gracias por todo a Sandra y Tere. Sehr schöne und gepflegte Wohnung mit einer tollen Dachterasse. Tolle Wohnung in dem sehr wenig touristischem Sanlucar. Apartment located next to the most historical area of Sanlúcar: Arquillo de Rota, Palace of Orleans and Bourbon, Church of Charity, Church of the O, Palace of the Duchess of Medina Sidonia, Castillo de Santiago, Bodegas. Supermarket a few meters away that opens Sundays and holidays. Numerous offers of typical restaurants and bars a few meters from the apartment. Very well connected through Avenida del V Centenario with all directions. 8 minutes walk from Plaza Cabildo (neuralgic center of the city) and 15 minutes walk from the beach. It is also around 10 minutes by car from beaches such as Faro Blanco, Costa Ballena, Rota. Fechas especiales tienen precios especiales (consultar). Reserva del 30%. Fianza: 150 euros.